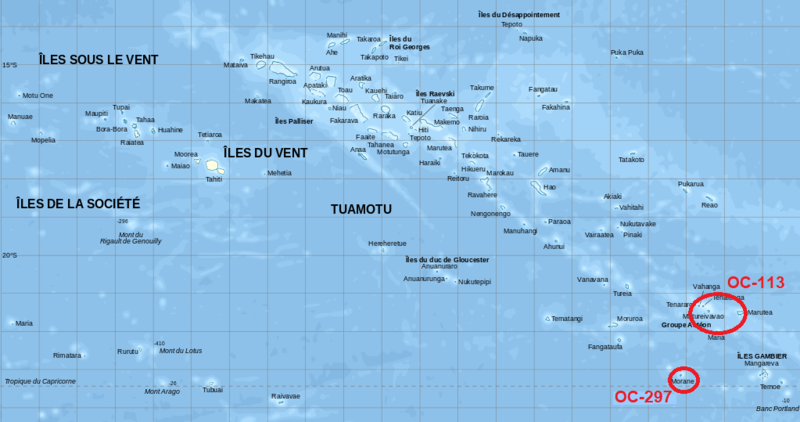 The DXCC of French Polynesia. The Maria Est atoll is part of the Acteon Group (OC-113). The only amateur radio activity from this group took place more than 28 years ago by Robert Berry (FO5BI/P). He operated in April 1990 from the Marutea Sud atoll. This IOTA reference is currently ranked #6 on the Most Wanted IOTA Listing, needed by 98% of the IOTA members. Since at the time of this operation there will be 1126 IOTA references activated to date, compared to 340 current DXCC entities, the rarity of this IOTA group corresponds to #2 on the DXCC Listing. 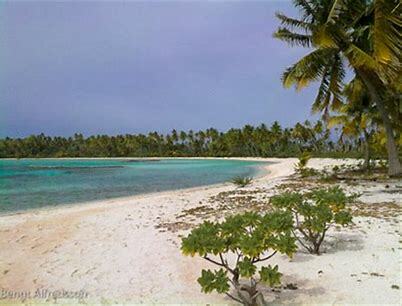 The Morane atoll is the only counter of the New IOTA Group OC-297. It fits the "Remote island group" criterion (IOTA Programme Structure B.1.3). ​Cezar (VE3LYC) and Adrian (KO8SCA) will fly on December 2 from Toronto and New York City, respectively, to San Francisco, from where they will travel together to Papeete (Tahiti), where they are scheduled to arrive the same day, around 9 pm local time. After spending a full day and two nights in Papeete, they will fly out to Rikitea, on Mangareva Island. Their flight is scheduled in the early morning of December 4, arriving in early afternoon local time (UTC - 9). Since the Mangareva airport is on a neighbouring atoll, they will have to make their way to Rikitea by a small boat across the lagoon, before boarding the yacht for a two-week voyage at sea. The atolls of Maria Est and Morane are uninhabited, and there is no boat transportation to them commonly available in Mangareva. Worth noting, the skipper agreed to bring his yacht to Mangareva specifically for this project, which involves rather complex logistics. The coral reef of both Maria Est and Morane atolls offer no entrance into the lagoon, which are fully enclosed and hypersaline. To say that landing on and departing from these atolls will be challenging is an understatement. However, once we manage to cross the reef (fingers crossed! ), moving all the equipment to and from one of the sandbanks will be equally difficult. In order to mitigate the hazards and increase safety, the skipper will bring on his yacht two inflatable dinghies. One of them will remain with the operating team at all times during their stay on each atoll. in the world, run by Micalvi Yacht Club (Navarino Island, Jan 2011). The plan is to operate from each atoll for 5 full days. The typical dominant wind for that period of the year tends to blow from the east, in which case the first stop will be Morane, followed by Maria Est. If so, the tentative schedule is to operate from Morane between December 6 to 10 (based on the UTC time), and from Maria Est between December 12 to 16. Nevertheless, the wind can also blow from the southeast or northeast, which can change the above tentative plan. Consequently, the final decision regarding the sailing itinerary will be made at the time of leaving Mangareva, based on the weather forecast. On each island, the operating team will communicate with the crew on the yacht via VHF radio. The chasers will be able to track our progress via the InReach system. The tracking link will be made available between December 2 and 19. The inReach system will also allow us to exchange information with Johan (PA3EXX), our Pilot Station. He will keep the community informed on our progress, and provide us with appropriate feedback. The team must return to Mangareva by no later than the morning of December 18, in order for Cezar and Adrian to catch their flight to Papeete, from where they will fly first to San Francisco, and then to Toronto and New York City, respectively. They should be back home before midnight on December 19. This is a complex and extremely expensive project, and we need your support to defray some of the considerable costs incurred! All donors will be acknowledged timely on this website.